This post may contain affiliate links. If you purchase something through the links I may receive a small commission at no extra charge to you. 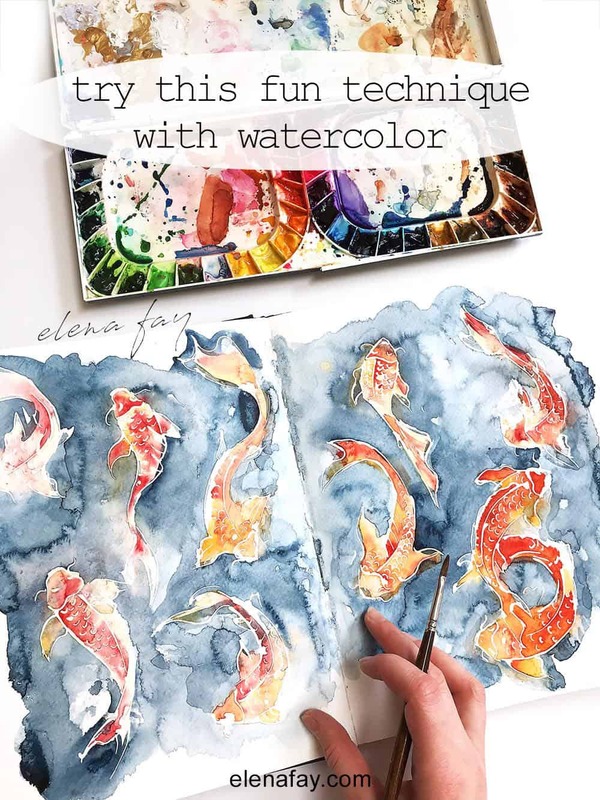 If you follow me on Instagram (@elenafay_art) you know how much I love experimenting with watercolor, and one of my absolute favorite techniques is a resist technique with masking fluid. That’s why I’m so excited to announce the release of my new Skillshare class “Resist Techniques with Watercolor”! It was so much fun to film this class! 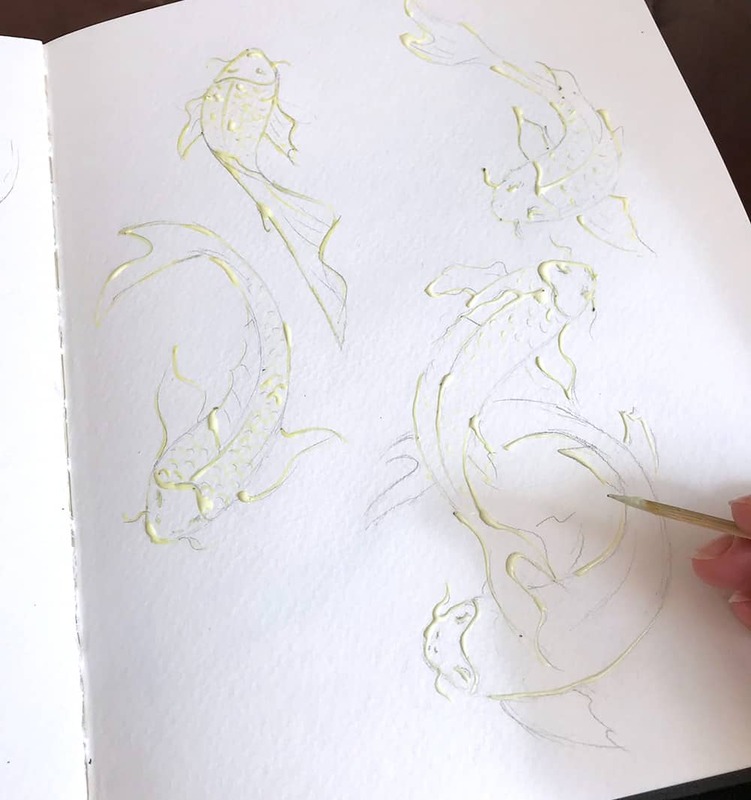 I poured my heart and soul into this video tutorial and hope you enjoy it as much as I enjoyed making it. We will cover all the basics together. 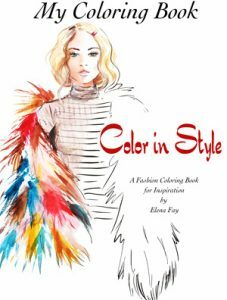 I’ll show you step by step how to create unique and colorful composition using this technique and we’ll create fun projects together. It’s jam packed full of amazing content and a great way to channel your creative energy! 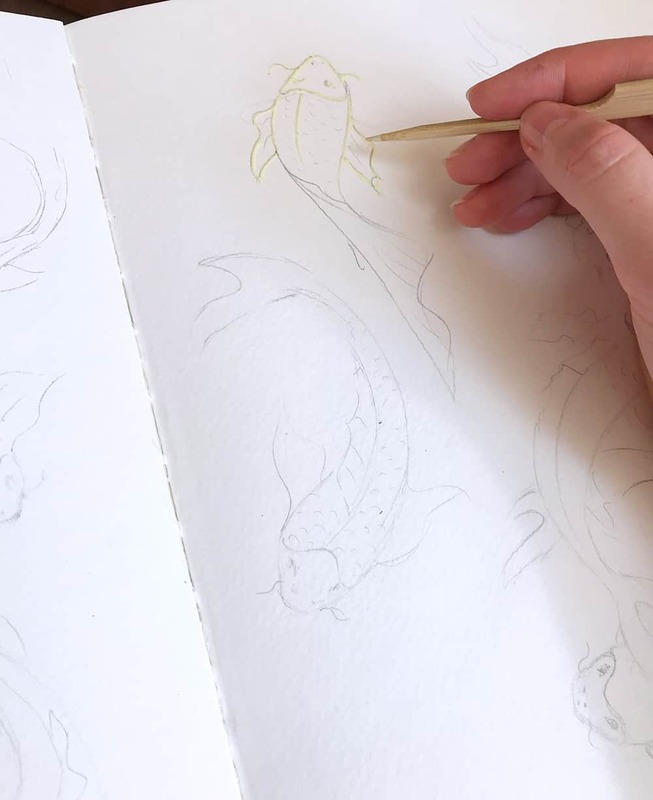 Here is a sneak peek of one of the projects “Fish Pond” illustration. Applied masking fluid and let it dry for 10 minutes. Here I used a veggie stick (you can use a tooth pick). 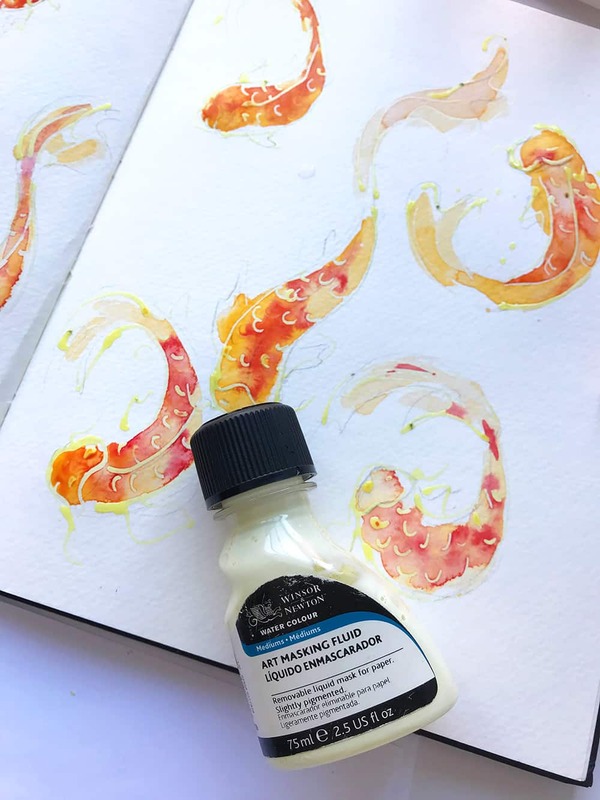 If you apply masking fluid with your brush, I would recommend using an old or inexpensive synthetic brush because masking fluid can ruin it very quick. 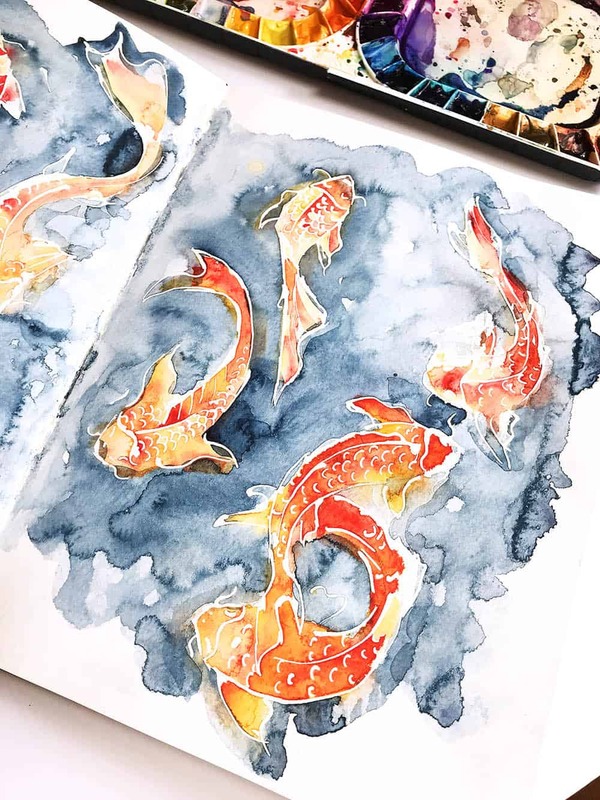 Make sure to clean your brush in a soapy water, it will keep it safe from masking fluid. 3. When masking fluid was completely dry, I added some color to the fish and let it dry before painting the background. 5. When the paint is completely dry, it’s time for my favorite part, which is peeling off masking fluid. It revealed all the lines that were covered with fluid and gave the painting very interesting look. 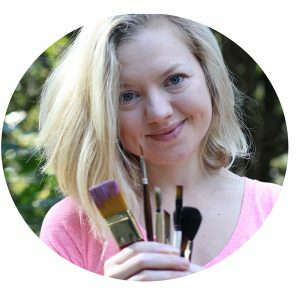 Even if you don’t take my class, consider taking a peek at all the other courses on Skillshare, you’ll be amazed how many amazing classes are waiting for you there!